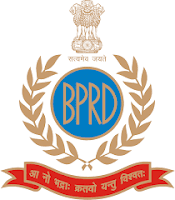 BPRD Recruitment 2017: Bureau of Police Research & Development has recently released an official notification regarding the BPRD Vacancy 2017. It has invited the eligible Indian candidates to apply for 40 Deputy Superintendent of Police, Inspector of Police, Stenographer Grade – II and other posts on deputation basis. Applicant needs to appear BPRD Jobs 2017 Walk in Interview on 18th December 2017. All Should make it sure that you should reach on time at the interview venue. Interested candidates may visit the bprd.nic.in for more information on BPRD Recruitment 2017. For Scientific Officer : Master’s degree in Sociology with specialization in Research methodology or Correctional Administration or Criminal Sociology or Sociology of Deviance from a recognized University. BPRD Selection Process : Selection will be based on Interview. How to Apply BPRD Vacancy : Interested candidate may appear for Interview with precribed application form at the time of Interview. Venue Of Interview : BPR&D HQrs., NH- 8, Near SSB Office, Mahipalpur, New Delhi.